When the common person discusses Reggae, one name automatically comes to mind: Bob Marley. This is normal, as he’s the most famous musician in the history of his genre. Other luminaries include Burning Spear, Toots and the Maytals, Jimmy Cliff, and Steel Pulse. However one man is overlooked because he was always in the shadow of his former bandmate Bob Marley. That man is Peter Tosh, and he belongs in the Rock and Roll Hall of Fame. While he may not have been the most iconic Reggae artist, Tosh was a strong voice for those who had no voice, and he was a musical revolutionary who was ahead of his time. Born Winston McIntosh, Peter Tosh began his musical journey along with Bob Marley and Bunny Livingston (Bunny Wailer) when they formed The Wailers. The group formed in the early 1960s and sang mostly upbeat Jamaican music. By the early 1970s, however, their music took on a more political angle. With the release of 1973's Catch a Fire, their views were plainly evidenced. While Marley would go on to be the most famous of the band, Peter Tosh stood front and center on the songs “400 Years” and “Get Up, Stand Up.” His lyrics and delivery drew a line in the sand - either you were against the oppression his people suffered, or you were for it. Tosh left no room for indecision. By 1974 Tosh left the Wailers to forge a solo career. Each successive album provided an insight into his belief system. The albums Legalize It, Equal Rights, the highly influential Bush Doctor, Mystic Man, the powerful Wanted: Dread and Alive, Mama Africa, and his last No Nuclear War, pushed Peter’s political views further and further. These are just his studio albums. Tosh released one live album and five more were released posthumously. He was anti-oppression, pro-marijuana, and very human-rights oriented. If Bob Marley was Martin Luther King Jr, then Peter Tosh was Malcom X. They wanted the same things, but each took a different approach. Go and listen to some of Peter’s words. Unfortunately, people will always run to “Legalize It” as their introduction to Peter Tosh. That’s a mistake. The aforementioned “400 Years” should be anyone’s first listen. “Stepping Razor” announced that he was not to be trifled with, and that song title actually became a nickname for Tosh. “Equal Rights” and “Apartheid” are definite listens, as they start to cement Peter’s belief system early on in his solo career. “Pick Myself Up” and the duet with Mick Jagger on “(You Gotta Walk) Don’t Look Back” from the Bush Doctor album are key songs as well. “Fight On,” “Rumors of War,” “Coming in Hot,” “Wanted Dread and Alive,” “Cold Blood,” and finally “No Nuclear War” and “Fight Apartheid” round out the must-listen-to list. 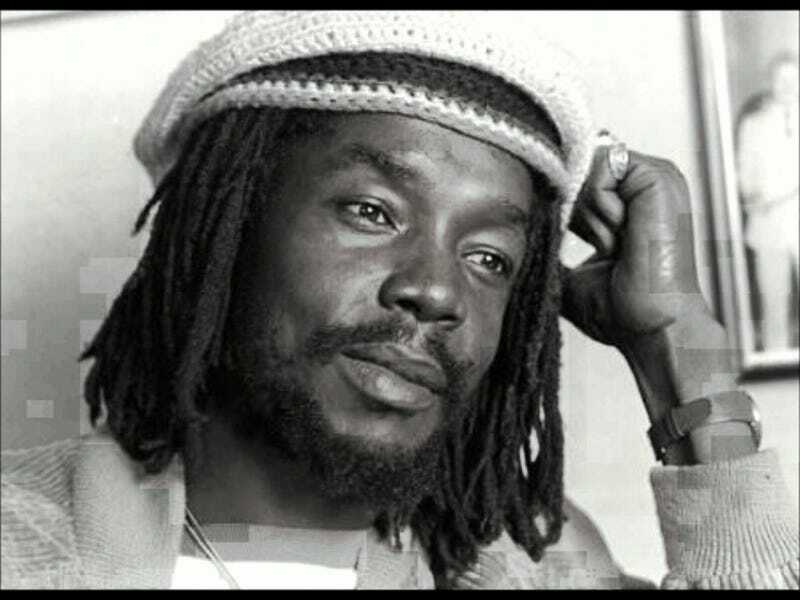 Peter Tosh, and his political music, is a direct influence on many bands who followed him. Without Tosh, there may not be The Clash, Public Enemy, Tupac Shakur, or Rage Against the Machine. Well guess what - The Clash, Public Enemy, and Tupac are in the Rock and Roll Hall of Fame, and odds are Rage will be too. Bob Marley is in the Hall. Jimmy Cliff is too. Know who else is in the Hall? Abba. Dusty Springfield. Floyd Cramer. Green Day. Hal Blaine. James Burton. Percy Sledge. Wanda Jackson. I’m not saying these people aren’t influential or important to the history of modern music. I’m just saying that Peter Tosh was more influential, had a stronger voice of and for the people, and did more to bring to light the problems of oppression and apartheid to those who would have otherwise not known. Peter Tosh was a revolutionary. He was a speaker of truths at a time when perhaps nobody wanted to hear the truth. Tosh belongs in the Rock and Roll hall of Fame. Go back and listen to his catalog of music. According to the Hall’s own website, in order to be eligible for induction: “Artists—a group encompassing performers, composers and/or musicians—become eligible for induction 25 years after the release of their first record. Besides demonstrating unquestionable musical excellence and talent, inductees will have had a significant impact on the development, evolution and preservation of rock & roll.” Peter Tosh meets and exceeds this criteria. If the above mentioned acts have been thoroughly vetted by the Hall and inducted, then Tosh is a no-brainer. Peter Tosh belongs in the Rock and Roll Hall of Fame.